Good quality but still don't know how to boil,it spills out everywhere and coffee is sour taste. Highly Recommend written by mobile Taste good. Good value. Strong aroma, rice favour. Nice value. Actually smaller than I expected. Great product. 3 cup size a bit small so planning get the bigger size next time! Good deal pot with coffee powder to try. Very happy with purchase. Fast delivery and good deal. The quality of the moka pot looks good. Hi Seller, is there any lifespan on the Moka Pot as I saw a customer review indicate why there is a expiry date on the Moka Pot. Hi, is the item come with warranty? Where is the country of origin? If the stovetop material aluminum or stainless steel? Also, if measure in ml, what is capacity for 3 cups and 6 cups respectively? Thank you. Please reply urgently.. thank you. Hi, item does not come with warranty. Country of origin is italy. aluminium alloy body, stainless steel internal filter. 3 cups fill 3 espresso. vice versa for 6 cups. hope this helps! Can this be used over electric stove? Induction stove? Or only open flame? Thank you for the reply, however, can't find video on your page. please give me the link so that I can watch how t o operate. 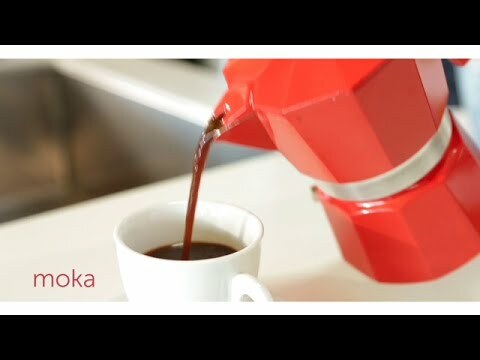 How to operate the Moka Pot? [Bundle of 2] Japan brand UCC Instant Premix Coffee 2in1 and 3in1 White Coffee 3in1 Sumiyaki Coffee.